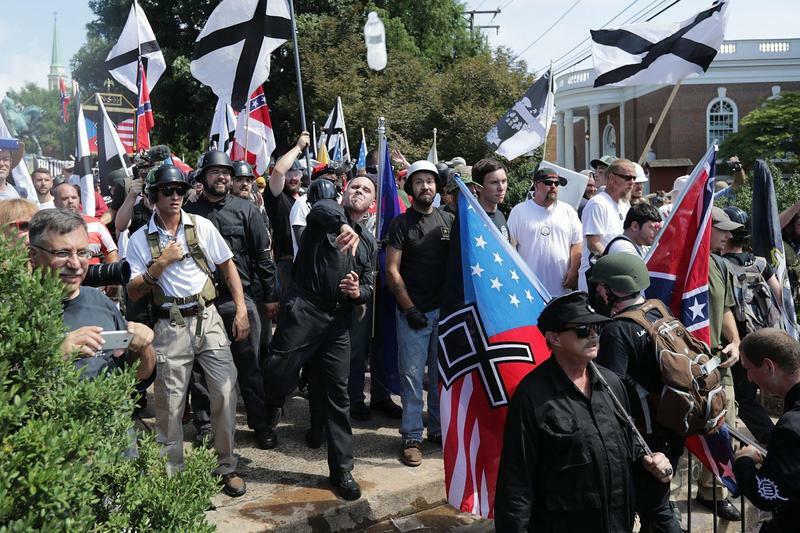 One year after a white nationalist rally turned deadly in Virginia, we sit down with Granite Staters who watch these movements and reflect on the state of civil discourse in our state and our country. JerriAnne Boggis, Executive Director of the Black Heritage Trail of New Hampshire, a non-profit that focuses on the state’s African-American history. Reverend Eric Jackson, Pastor at Brookside Congregational Church in Manchester. He is also president of the Greater Manchester NAACP. Rabbi Robin Nafshi, of Temple Beth Jacob in Concord. Tom White, Coordinator of Educational Outreach at the Cohen Center for Holocaust and Genocide Studies at Keene State College. Washington D.C. prepares for "Unite the Right" rally a year after deadly white-supremacist demonstrations in Charlottesville. On the anniversary of Heather Heyer's death in Charlottesville, her mother says her focus is on stopping hate. An NPR interview with Jason Kessler, who organized the Aug. 12 "Unite the Right" rally in D.C., as well as last year's deadly rally in Charlottesville. NPR has received criticism for its interview with Kessler. An NPR interview with Hawk Newsome, president of Black Lives Matter of Greater New York; he walked from Bronx to Washington D.C. to protest the "Unite the Right" rally.